Whether you’re getting ready for a road trip or just driving to the airport to catch your flight, you’ll want to schedule some quick car maintenance before you go. 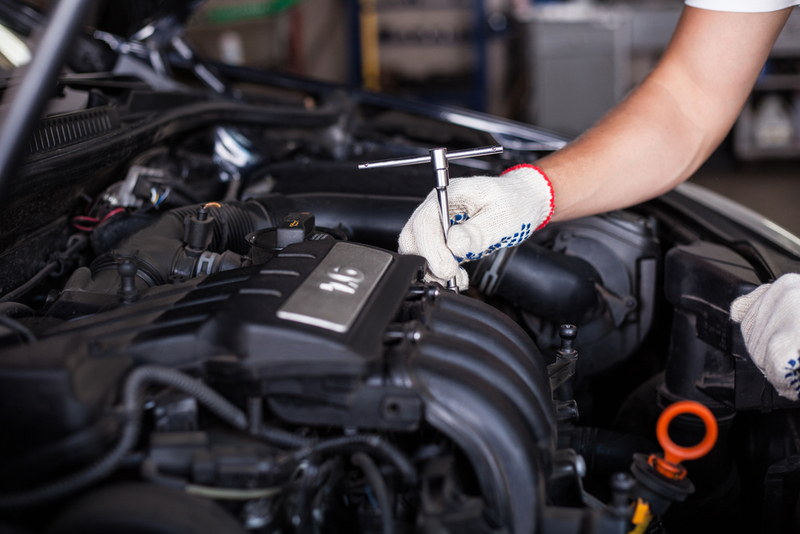 After years as the premier name in auto repair for the Wentzville, MO, area, the expert technicians at H & S Tire & Auto Center know that it’s essential to visit an auto mechanic for regular tuneups, especially if you’re planning on driving your car long distances or leaving it inactive for a while. Here are some of the procedures they recommend to prepare your car when you’re going on vacation. Most drivers know that it’s best to change a car’s oil every 5,000 miles. While your car may not have reached its next oil change just yet, if you’re planning on a long drive or leaving your car in the garage while you’re on vacation, you should always have upcoming car maintenance done beforehand. New oil will keep sludge and grime from building up in your engine, regardless of whether you’re driving or flying to your vacation local. Your brakes will commonly be checked for wear when you go in for an oil change, but it’s smart to ask your technician to take a look at them ahead of time. If you’re going to be driving out of town, you’ll be more at risk for an accident. On unfamiliar roads, your brakes may be the only thing standing between you and a higher insurance deductible. Having your tires checked for leaks and tread wear is a quick procedure that often won’t cost you anything, and there’s no better preparation for a long drive than a tire rotation. Rotating your tires to ensure even wear on the tread is not only a matter of safety, but it also increases the efficiency of your vehicle. Your windshield wipers may be one of those things you take for granted until you actually need to use them, but that’s no excuse for leaving on a road trip with old, ineffective wipers. New wiper blades are not only inexpensive, but they’re also the kind of car maintenance that an auto mechanic can show you how to do yourself. Wiper fluid is also more than affordable, and just one of the big fluid containers is typically enough for more than one fill. Headlights and taillights are one of the most important pieces of safety equipment on any car, but they can become dull over time. Because of the heat coming off of the bulbs, the plastic on the interior of the light changes consistency, allowing less light through. Simply ask for a headlight or taillight restoration at your next tune up to get your lights looking like new before you leave for some rest and relaxation of your own. Your car is an investment that requires regular care, even when you’re on vacation. When you want professional car maintenance that you can trust, turn to H & S Tire & Auto Center for everything you need to keep your vehicle running smoothly. From brake repair to wheel alignment, diagnostics, and inspections, they’re always ready to help. Call (636) 327-5225 to schedule your appointment today, or visit their website or Facebook page for more details on their services.